Thank you! You’ve made a great choice! You are in the process of ordering the ONLY CURCUMIN IN THE UNITED STATES PROVEN IN HUMAN STUDIES. One bottle means GETTING A FULL 2 MONTHS SUPPLY – So, the cost is actually cut in half! Encased in a vegetable capsule – GREAT FOR VEGETARIANS! Curcumin is the active ingredient present in the turmeric plant (curcuma longa). 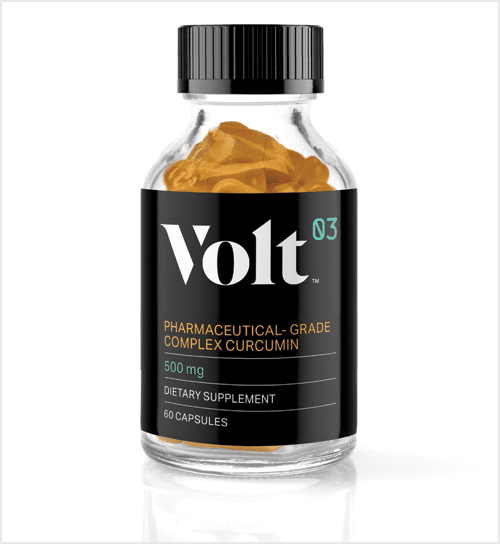 VOLT03 offers more than 80 mg of curcumin in each 500-mg capsule. Most curcumin products that are currently marketed do not dissolve well in water or in the stomach, leading to poor absorption and activity.2 VOLT03 is a highly bioavailable form of curcumin. It dissolves completely in water and reaches the bloodstream in high concentration (39 times more than common curcumin). It is therefore more potent. VOLT03 exhibits statistically significant anti-inflammatory properties, as compared with standard curcumin and a powerful prescription anti-inflammatory product (indomethacin). VOLT03 possesses pharmaceutical-grade quality for both product composition and manufacturing processes. Herbal dietary supplements are often mislabeled or contain adulterated content, while VOLT03 is highly purified and regulated. VOLT03 is manufactured according to the Current Good Manufacturing Practice (cGMP) regulations enforced by the FDA and has a “clean label,” meaning that the only ingredients in its formulation are curcumin and cyclodextrin. WHAT ARE THE CLINICAL DATA SUPPORTING CURCUMIN AND VOLT03? Results: The difference between VOLT03 and curcumin/indomethacin was statistically significant, with p<0.05. The formulation also showed a statistically significant increase in relative bioavailability of total curcuminoids in comparison with standardized unformulated curcumin (39-fold), the CSL (4.5-fold), and the CEO (32-fold).5 Due to these enhanced absorption properties, VOLT03 is less frequently dosed and is available in small, easy-to-take capsules. WHERE CAN I GET VOLT03? VOLT03 is available at www.nutenttherapeutics.com. Those interested in trying VOLT03 can also talk to their rheumatologist, neurologist, naturopathic doctor, chiropractor, or other healthcare provider. VOLT03 will also be distributed in select pharmacies that can be found on the Nutent Therapeutics website. WHAT ELSE DO I NEED TO KNOW ABOUT VOLT03? VOLT03 is dispensed in bottles containing 60 capsules. Samples sent to doctors will contain 10 capsules per bottle. Please contact Nutent Therapeutics at (561) 208-3033 if interested in purchasing VOLT03 in bulk. VOLT03 does not require any special disposal of unused product. DOES VOLT03 HAVE ANY SIDE EFFECTS? References: 1. Cavacurmin®: highly bioavailable curcumin. Wacker Group website. 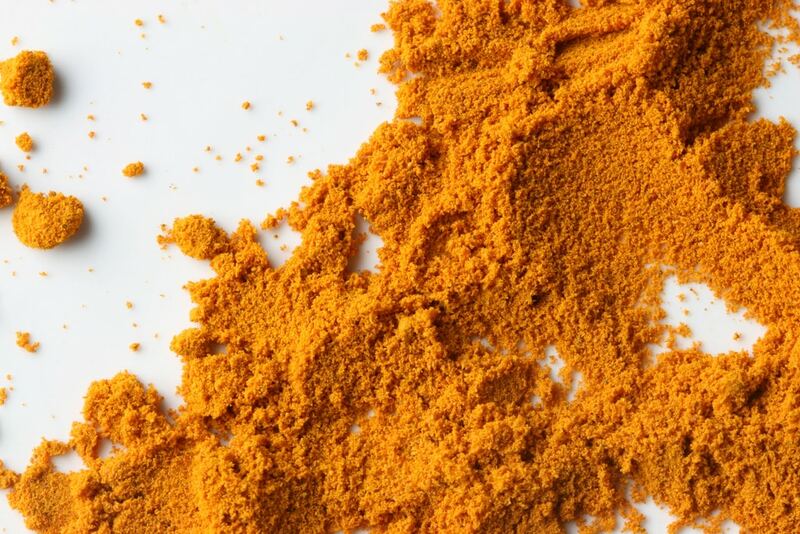 https://www.wacker.com/cms/en/industries/food/curcumin.jsp. Accessed May 3, 2018. 2. Data on file. Nutent Therapeutics; March 2018. 3. Desai K. A novel curcumin complex with superior efficacy to indomethacin and native curcumin in an inflammatory model. SF J Orthopedic Rheumatol. 2017;1(1):1-5. 4. Pipeline. Nutent Therapeutics website. https://nutenttherapeutics.com/pipeline. Accessed May 3, 2018. 5. 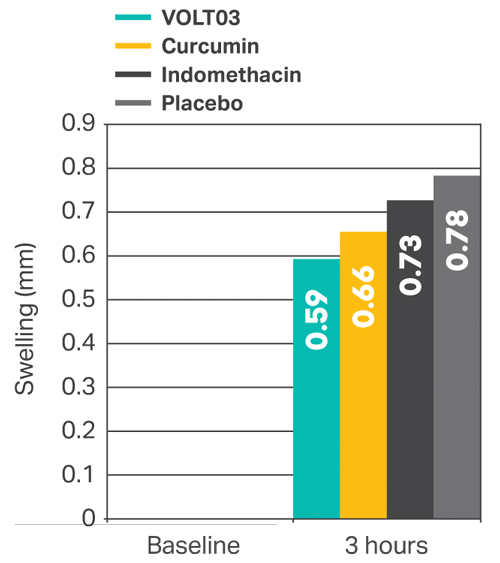 Purpura M, Lowery RP, Wilson JM, Mannan H, Münch G, Razmovski-Naumovski V. Analysis of different innovative formulations of curcumin for improvedrelative oral bioavailability in human subjects. Eur J Nutr. 2018;57:929-938. 6. O’Connor A. Herbal supplements are often not what they seem. New York Times. November 2013. https://www.nytimes.com/2013/11/05/science/herbal-supplements-are-often-notwhat-they-seem.html. Accessed May 7, 2018. 7. National Center for Complementary and Integrative Health. Using dietary supplements wisely. National Institutes of Health website. https://nccih.nih.gov/health/supplements/wiseuse.htm. Last updated 2014.Accessed May 7, 2018. 8. Hewlings SJ, Kalman DS. Curcumin: a review of its effects on human health. Foods. 2017;6 (10):1-11. This company did a fantastic job bringing the highest quality product to market. I love that I only have to take one capsule a day due to the strength. I suffer from aches and pains, Volt03 makes them disappear. I’ve read that inflammation is what causes disease in the body. This product gives me peace of mind to stay healthy and keep inflammation away. Highly recommend!!! The best curcumin product I have tried. The best curcumin product I have tried. I have tried previous products with bioperine and to be honest they didn’t really do much to boost absorption. The way this curcumin is formulated is far surpassed previous curcumin products I have tried.